Now in its 10th edition, Elliott Wave Principle is Robert Prechter and A.J. 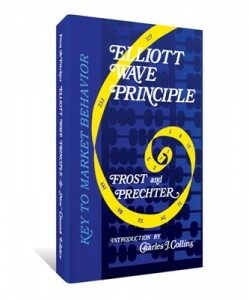 Frost’s groundbreaking investment classic hailed by reviewers as the “definitive textbook on the Wave Principle.” It’s the most useful and comprehensive guide to understanding and applying the Elliott Wave Principle. Originally published in 1978, just in time to predict a great bull market in the 1980s and a monumental bear market to follow, it’s remains a must-have for any investor’s library.